A demolished student house will be the location in D.C. of 18 shipping containers to make “eye catching” rentals. Citing Ayn Rand’s novel, “The Fountainhead,” the owners are compared to the rebellious architect in the novel who fights against “evil” conformists. The builders dream to “float hundreds of sea container apartments on a barge in the Potomac and creating a homeless village on the river to serve Georgetown.” The zoning officials are skeptical, they must see if “code will allow them.” But zoning codes can be changed to accommodate environmentalist agenda. Renting micro-dwellings in the 144-unit building called Harper for $2,500 a month for a one-bedroom, 400 square foot apartment and a parking space enticed many. 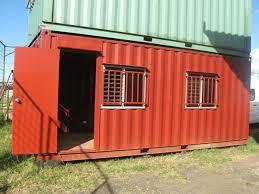 Because it is so small, residents would want to go out, to get rid of claustrophobia. “This location couldn’t be more perfect for the socializing lifestyle,” says Leah Wald. Renting the average 375 square foot hotel room by the day can cost you about the same and the maid is free. The Wharf apartments which are slated to open in 2017 will have 501 micro-units, 171 will be 325-354 sq. ft., highlighting a Murphy bed, with a “built-in shelf for storage when the bed is stored vertically against the wall.” The kitchen on wheels can be used as table or as a desk. “The units are designed like the inside of a boat.” It seems perfect for anybody who hates cleaning and does not mind living in a glamorized jail cell. Across the country, Sustainable Urbanism, Sustainable Development, Equitable Communities are government plans to change the counties’ desired low density character and scale to high-density crime-ridden slums. Social engineering is being imposed on entire neighborhoods. The Department of Housing and Urban Development (HUD) will dismantle local zoning and force people to move into certain areas in order to achieve what they consider “racial, economic, and ethnic diversity.” Multiple illegal immigrant families purchase or rent one single home creating a third world nightmare for the single family neighbors who must live next door. The progressives’ social engineering projects implemented around the world are not aimed at just destroying national sovereignty, language, and cultural identity. They are now engaged in a massive replacement of rural areas and “suburban sprawl” with high density, high rise urban dwellings in the name of green environmentalism, saving the planet from the destruction of manufactured man-made global warming/climate change. This entry was posted in U.N. Agenda 21 and tagged alley pods, aPodments, D.C., micro-dwelling, micro-house, social engineering, tiny house by Admin. Bookmark the permalink.